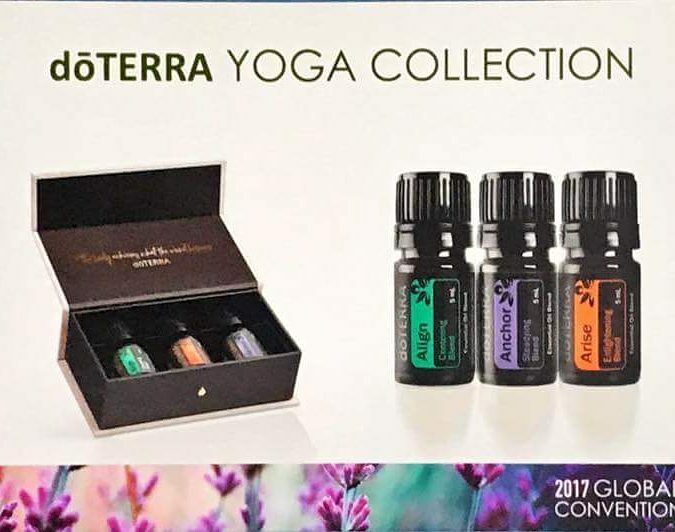 Healthy Living and Essential Oils : New Products Announced at Convention! New Products Announced at Convention! We are so excited about the new oils that doTERRA has added to their collection. The healing benefits of each are unique and they are smell amazing. ARISE - Enlightening Blend: Lemon, Grapefruit, Siberian Fir, Osmanthus, Melissa. ALIGN - Centering Blend: Bergamot, Corrianda, Marjoram, Peppermint, Geranium, Basil, Rose, Jasmine. ANCHOR - Steadying Blend: Lavender, Cedarwood, Frankincense, Cinnamon Bark, Sandlewood, Black Pepper, Patchouli. Get set up with us for your wholesale account with one of the enrollment kits (Canada, US) and receive the Yoga Kit for FREE! (It will be shipped out to you on Oct. 4th). Other new products announced at the convention!! These are PERMANENT products that will be available to purchase October 2, 2017!